Status: Inactive; Active 1970-1995. Born: 1945-05-20. Birth Place: Nuzhni Kuba, Perm. Graduated from Air Force Engineering School, Perm, 1968. Candidate of law sciences degree, 1990. Graduated from Moscow Aeronautical-Technological Institute, 1997. 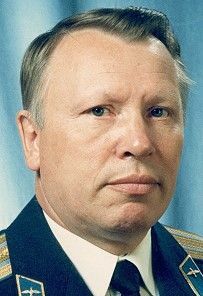 Lieutenant Colonel, Soviet Air Force Worked as a civilian in the TsPK, becoming Deputy Flight Director at Flight Control Center in Kaliningrad. 1945 May 20 - . Birth of Nikolai Nikolayevich Fefelov - . Nation: Russia. Related Persons: Fefelov. Russian engineer cosmonaut, 1970-1995..